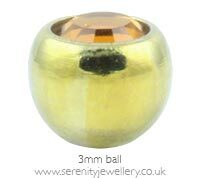 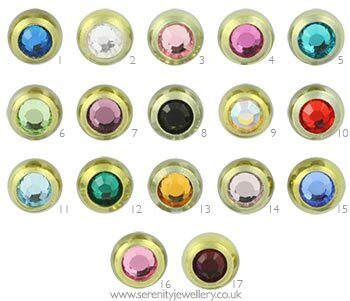 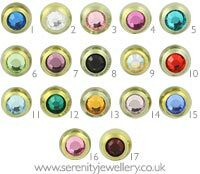 Hypoallergenic yellow titanium 3mm and 4mm jewelled screw-on balls. Compatible with any of the 1.2mm gauge externally threaded labret studs. 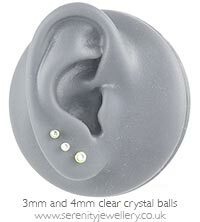 PLEASE NOTE this item is the screw-on top only not a complete labret. 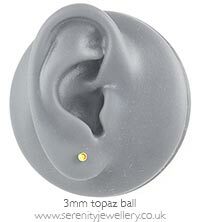 Nice colour, fits well onto labret post.